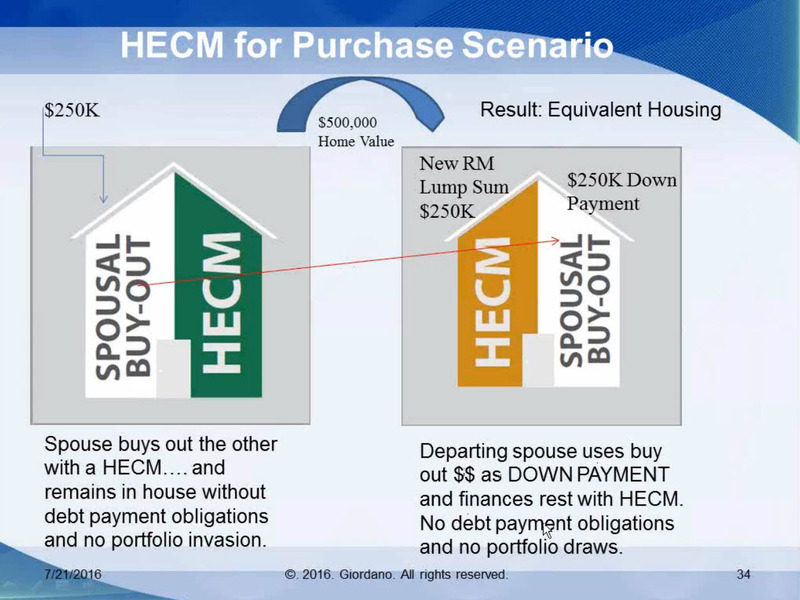 A new paper “Using Housing Wealth to Facilitate Asset Division in “Silver Divorce – Some Unconventional Uses of Reverse Mortgages” lays out a variety of ways a reverse mortgage can help a couple start their new financial lives. Barry Sacks, Mary Jo Lafaye, and Stephen Sacks, the authors, offer examples and include ways of improving post-divorce cashflow by coordinating cash from a reverse mortgage with withdrawals from an IRA or 401(k). Their paper is available here: silver-divorce-paper. “There may be a time when it makes sense to go ahead and separate now, because they’re going to qualify for more with one borrower,” Hultquist said.